With the onset of the glacial maximum c. 20,000 years ago, and the ponding up of the Ob River, humans circulated less easily from one end of the steppe-tundra belt to the other. This barrier separated ancestral Europeans from ancestral East Asians. Outside Africa, people seem to have the same amount of Neanderthal admixture, be they Europeans, East Asians, or Papua/New Guineans. How come? Perhaps the admixture was a one-time event that occurred just as modern humans began to spread out of Africa and into the Middle East. Only there did they encounter an ‘almost-modern’ population that had long bordered and probably intermingled with the Neanderthals to the north. Our ancestors thus received Neanderthal admixture indirectly, via a partially hybridized population. As they spread beyond this transitional zone, they encountered archaic hominins that differed much more from them in appearance and behavior. Admixture accordingly decreased. The above explanation is parsimonious but still leaves a few loose ends. According to an unpublished study by Sarah Joyce and Jeffrey Long, archaic admixture occurred in two stages: an early one in the Middle East, when modern humans first spread out of Africa, and a later one, when modern humans first spread from Asia to Oceania (Dalton, 2010). This leads us to an alternate explanation: all of the archaic hominins throughout Eurasia, including the Neanderthals, were related to each other. The second admixture looks Neanderthal because it came from a related archaic population somewhere on the Asia/Oceania boundary. Did archaic admixture also occur separately in Europe and East Asia? Not if we believe the Joyce and Long study. Moreover, there is growing evidence that ancestral Europeans and ancestral East Asians were one and the same people until 22,500 years ago, long after the Neanderthals had gone extinct (Laval et al., 2010). This might seem surprising. Modern humans were already in Eurasia by 40,000 BP, if not earlier. How could these early Eurasians have stayed together as a single breeding population for the next twenty thousand years? They didn’t. The modern humans who initially settled the south and east of Asia were later pushed out and/or absorbed. Today, their descendants are limited to a few relic groups: the Veddas of Sri Lanka, the Andaman Islanders, the Semang of the Malayan Peninsula, and the Aetas of the Philippines. Present-day Europeans and East Asians descend largely from a small nomadic population that once roamed Eurasia’s northern tier—a belt of steppe-tundra that stretched from southwestern France to Beringia during the last ice age. This population then split in two about 20,000 years ago at the glacial maximum: on the one hand, an immense ice sheet spread south and east from Scandinavia; on the other, large glacial lakes formed along the Ob (Rogers, 1986; Crawford et al, 1997). Chronologically, this barrier to east-west gene flow matches the dating by Laval et al. (2010) of the split between ancestral Europeans and ancestral East Asians. Even before the ice age ended some 10,000 years ago, these two northern groups had been spreading south, initially into the Middle East on the west and into the Americas on the east. Later expansions encompassed not only the rest of Asia but also North Africa and Oceania. Today, a common northern origin is suggested by linguistic similarities. There seems to be a core Eurasiatic macrophylum, principally Indo-European, Uralic, and Altaic, that stretches across the northern tier of Eurasia. To the south are other related language families, principally Afro-Asiatic, Dravidian, and Amerindian, that have nonetheless undergone more change, due to linguistic ‘founder effects’ or to lexical and grammatical borrowing from pre-existing southern languages (Rogers, 1986; Wikipedia – Eurasiatic languages, Nostratic languages). But how did these northerners replace humans who were not only ‘modern’ like themselves but also native to southern latitudes? After all, the southerners were playing on their own turf. They had been adapting to their own climate and ecosystem for much longer. What happened to the home team advantage? Some answers are offered by Hoffecker (2002, p. 135). Among early modern humans, tools and weapons were more complex at arctic latitudes than at tropical latitudes. “Technological complexity in colder environments seems to reflect the need for greater foraging efficiency in settings where many resources are available only for limited periods of time.” Arctic humans coped with resource fluctuations and high mobility requirements by planning ahead and by developing untended devices (e.g., traps and snares) and means of food storage. In addition, these increased cognitive demands fell on both men and women. Paternal and maternal investment were much more equal than in the tropical zone, where women could provide for their families year-round with less male assistance (Kelly, 1995, pp. 268-269; Martin, 1974, pp. 16-18). Indeed, because the arctic zone compelled men to shoulder most of the food provisioning, women were free to enter a new range of tasks: food processing (e.g., butchery and carcass transport); shelter building; garment making; leather working; transport of material goods; etc. (Waguespack, 2005). It was this technological revolution that ultimately led to what we now call ‘civilization’ (Frost, 2008). Of course, none of this could have been foreseen at the time. Northern Eurasians were simply pre-adapted for what came later. They were especially able to exploit the shift to agriculture and the ensuing need for seasonal planting, harvesting, and food storage, as well as more complex forms of social organization. This was their competitive edge over humans farther south. Cavalli-Sforza, L.L., A. Piazza, P. Menozzi, and J. Mountain. (1988). Reconstruction of human evolution: Bringing together genetic, archaeological, and linguistic data, Proceedings of the National Academy of Science USA, 85, 6002-6006. Crawford, M.H., J.T. Williams, and R. Duggirala. (1997). Genetic structure of the indigenous populations of Siberia. American Journal of Physical Anthropology, 104, 177-192. Skhul V – one of the Skhul-Qafzeh hominins. Were they the middleman between Neanderthal genes and the modern human genome? When I initially published my last post, I pooh-poohed the rumors about the reconstructed Neanderthal genome. How could modern humans have Neanderthal DNA when no such admixture appeared in previous analyses of mtDNA, dentition, and noncoding DNA? Any Neanderthal admixture would have to be less than 1%. I then logged on to Razib Khan’s site. 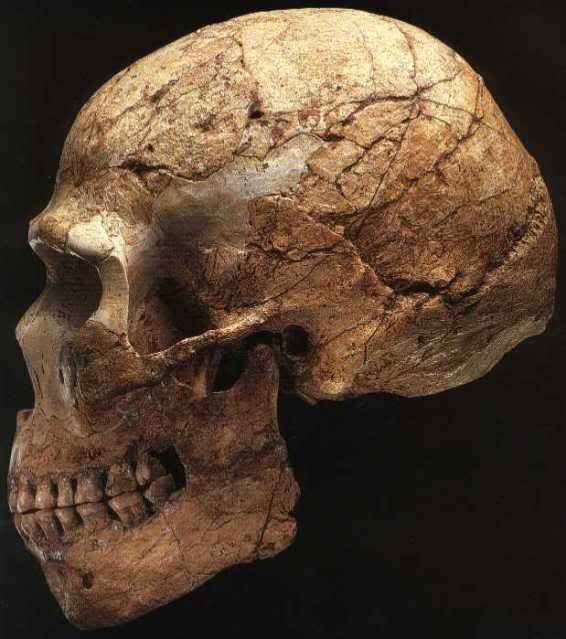 The news had just broken: modern humans outside Africa are 1 to 4% Neanderthal. I hurriedly rewrote my post and spent the rest of the day eating crow. In retrospect, I now realize I had put too much faith in the existing data. I had also ignored the warning signs. The HBD community correctly decoded the silence that had fallen over Pääbo’s research team, as well as a remark made by Linda Vigilant. Despite the crow-phagia, this is good news. It means the end to a long and bitter conflict between proponents of two models of human origins: ‘Out of Africa’ versus multiregionalism. Anthropologists may still disagree, but the room for disagreement has greatly shrunk from what it was only a week ago. We can now move on. The winning model is a weak version of Out of Africa. Modern humans are largely descended from a series of population expansions that began around 80,000 years ago somewhere in eastern Africa and culminated c. 60,000 BP in a ‘big bang’ that would create 96-99% of the gene pool outside Africa. The remaining 1-4% came from archaic Europeans and Asians, i.e., Neanderthals in Europe and West Asia, and other hominins elsewhere (Almas in Siberia? Hobbits in southeast Asia?). 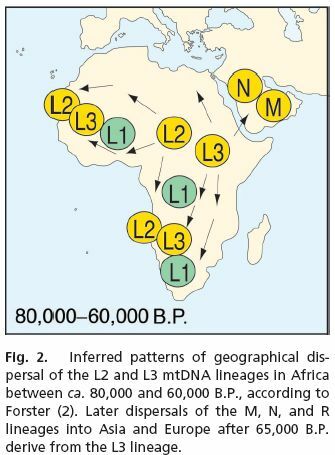 This admixture seems to have occurred in two stages: an early one in the Middle East, when modern humans began spreading out of Africa, and a later one, when modern humans began to spread from Asia to Oceania (Dalton, 2010). Curiously, the admixture looks Neanderthal in both cases. Did this admixture contribute anything useful? We still don’t know. Some academics had identified the new variant of the microcephalin gene as being probably of Neanderthal origin, but this variant is absent from the reconstructed Neanderthal genome. To date, Pääbo’s team is of the opinion that “the Neanderthal DNA does not seem to have played a great role in human evolution” (Wade, 2010). Surprisingly, the same level of Neanderthal admixture was found in a French subject, a Chinese subject, and a Papuan subject. This seems to suggest that Neanderthal admixture happened when modern humans began spreading out of Africa, probably in southwest Asia. But why was there no further admixture in Europe, where the two populations co-existed much longer? If there had been, we would see more Neanderthal admixture in present-day Europeans, but we don’t. 1. Noise in the data obscures the higher level of Neanderthal admixture in present-day Europeans. The picture should become clearer once we have sequenced 100% of the Neanderthal genome, and not the current 60% (Richard Green in an interview on CBC). 2. Early modern Europeans were replaced by Middle Eastern immigrants when farming replaced hunting and gathering (Green et al., 2010). 3. In Europe, early modern humans greatly outnumbered the Neanderthals. Subsequent admixture thus had little effect (Green et al., 2010). 4. In East Asia and Oceania, ‘Neanderthal admixture’ is actually a proxy for something else. These regions had non-Neanderthal archaic populations that were probably more closely related to the Neanderthals than to modern humans. If so, ‘Neanderthal admixture’ in these regions may correspond, more or less, to admixture with other archaic humans (my idea). 5. Neanderthal genes entered modern Eurasian populations indirectly, via an intermediate Middle Eastern population that already had Neanderthal admixture (because of prolonged contact) while being fairly close to modern humans in appearance and behavior. Modern humans may thus have more readily intermixed with them but not with Neanderthals in Europe. The latter were so different in appearance and behavior that admixture would have been minimal (my idea). I’m inclined toward the last two explanations. Explanation #4 would explain why the later admixture in Asia/Oceania seems to have been as ‘Neanderthal’ as the early admixture in the Middle East. Unfortunately, to test this explanation, we must first reconstruct the genome of archaic humans from the Asia/Oceania transition zone. This will be difficult, if not impossible, given the accelerated degradation of DNA in the tropics. Explanation #5 is also tempting. Not long before modern humans began spreading out of Africa, the Middle East was home to a population with both modern human and Neanderthal characteristics, as attested by remains from Skhul and Qafzeh in northern Israel. These hominins first appeared in the Levant some 120,000 years ago, perhaps as part of an earlier out-of-Africa expansion into south Asia. Their technology was Mousterian and Neanderthal-like, but their anatomy was relatively modern with some archaic features (Kidder et al., 1992; Pearson, 1998). These “almost-moderns” existed on the periphery of a range centered on the African continent. Only a bit farther north were the Neanderthals of Europe and West Asia. When the climate cooled during the Early Pleniglacial (70,000-55,000 BP), the southern limit of the Neanderthal range shifted accordingly. Neanderthals then occupied the Levant until the arrival of modern humans some 50,000 years ago (Grun & Stringer, 1991; Schwarcz et al., 1989; Valladas et al., 1987). What happened to the Skhul-Qafzeh hominins? They probably moved farther south, perhaps to the Hejaz. Such a location would have been athwart the main line of expansion of modern humans as they spread out of Africa. Unfortunately, despite many interesting sites, there has been no dating so far of early human occupation in Saudi Arabia (Petraglia & Alsharekh, 2003). Grun, R., and C.B. Stringer. (1991). Electron spin resonance dating and the evolution of modern humans, Archaeometry, 33, 153-199. Kidder, J.H., R.L. Jantz, and F.H. Smith. (1992). Defining modern humans: A multivariate approach, in G. Bräuer and F.H. Smith (eds.) Continuity or Replacement. Controversies in Homo Sapiens Evolution, pp. 157-177, Rotterdam: A.A. Balkema. Pearson, O.M. (1998). 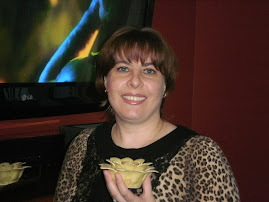 Postcranial Morphology and the Origin of Modern Humans, Ph.D. dissertation, State University of New York at Stony Brook, Ann Arbor: University Microfilms International. Petraglia, M.D. and A. Alsharekh. (2003). The middle palaeolithic of Arabia: implications for modern human origins, behaviour and dispersals, Antiquity Journal, 77, 671–684. Valladas, H., J.L. Joron, G. Valladas, B. Arensburg, O. Bar-Yosef, A. Belfer-Cohen, P. Goldberg, H. Laville, L. Meignen, Y. Rak, E. Tchernov, A.M. Tillier, and B. Vandermeersch. (1987). Thermoluminescence dates for the Neanderthal burial site at Kebara in Israel, Nature, 330, 159-160. Linda Vigilant – Was she in on the Big Secret? 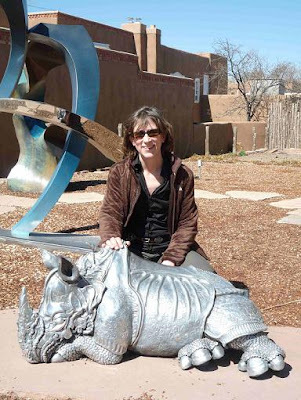 Was the rhino? The HBD blogosphere has been rife with speculation about the reconstruction of the Neanderthal genome. John Hawks, Razib Khan, and Steve Sailer felt that something big was in the offing. Above all, this something would resurrect the multiregional model of human origins. Much of the stir centered on a recent study by Sarah Joyce that showed a higher-than-expected amount of variability in the microsatellite DNA of modern humans. Since this DNA is unaffected by natural selection, the unexplained variability must have come from an outside source, i.e., Neanderthals and other archaic humans. Linda Vigilant, an anthropologist at the Planck Institute, found Joyce's talk a convincing answer to "subtle deviations" noticed in genetic variation in the Pacific region. Linda Vigilant works at the Planck Institute, where a team headed by Svante Pääbo is reconstructing the Neanderthal genome. Perhaps she was privy to something big that Pääbo had discovered but was waiting to disclose. Now the hand-wringing is over. This morning, it's been revealed that modern Europeans and Asians are 1-4% Neanderthal. Does this mean the multiregional model has been vindicated? First, let’s be clear about what we mean by the multiregional model. Originally, it meant that Homo sapiens evolved out of earlier, more archaic humans at different times and at different places. Modern Europeans are thus primarily descended from Neanderthals, East Asians from Peking Man, and so on. That version is now dead as a dodo. No one accepts it anymore. If we look at mtDNA or dental traits, the Neanderthals are no closer to modern Europeans than they are to modern Africans or modern East Asians (Krings et al., 1999; Ovchinnikov et al., 2000; Tyrrell & Chamberlain, 1998). In addition Joyce’s findings were not corroborated by Laval et al. (2010), who failed to find evidence of admixture in the noncoding DNA of modern Europeans and modern East Asians. The latest findings have backtracked a bit on this consensus, but not a lot. However, it is important to emphasize that our inferences are based on non-coding neutral regions of the genome and that adaptive introgression from archaic to modern humans may have occurred to a greater extent. Indeed, in contrast to neutral alleles, adaptive variants may attain high frequencies by natural selection after minimal genetic introgression. Future studies comparing coding-sequence variation in modern humans and extinct hominids (e.g. Neanderthals) should help to answer this question. (Laval et al., 2010). 1. Microbes do it. Why not humans? Different strains of bacteria regularly swap genes, thus allowing new and better variants to leapfrog from one strain to another. Such ‘lateral gene transfer’ is a powerful engine of evolutionary change because it spares different species the trouble of having to reinvent the wheel. But what works in simple organisms or for simple traits does not necessarily work elsewhere. Yes, if the gene works more or less independently, you can plug it into another genome and get the same result, like the pigment gene that aphids have somehow taken from fungi. But this kind of ‘plug and play’ is harder to pull off with complex traits in complex organisms, like humans. A particular gene might work like fresh sliced bread in one species … and like burnt toast in another. Cochran and Hawks seem to be particularly interested in alleles relating to brain function, like the microcephalin allele that they had earlier attributed to gene transfer (Hawks & Cochran, 2006; Hawks et al., 2007). The Neanderthal microcephalin gene has since been reconstructed and … it does not have that allele (Hawks, 2009). Yet Cochran and Hawks remain undeterred. One reason why they don’t see the weaknesses in their hypothesis is their unwillingness to spell it out in detail. Why won’t they? Well, ask the rhino. I have two responses. First, modern humans have inhabited Europe for some 35,000 years. 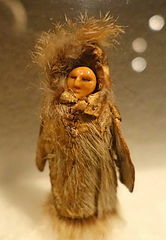 If that length of residency doesn’t confer native rights, then no one anywhere has any—certainly not the Amerindians or the Inuit, who have been in the Americas for less than 15,000 years. Which brings me to my second point. The currently dominant ideology—global capitalism—denies the very notion of native rights. It doesn’t matter whether your people have inhabited their land for 35,000 years or 35 million years. That’s just history, and we’ve come to the End of History. From now on, we’re all just individuals interacting in a global marketplace. Eventually, this ideology will fall victim to its own contradictions. A market economy can exist with minimal state supervision only in a relatively homogeneous ‘high trust’ society. Liquidate that social environment, and you liquidate the economic environment that comes with it. At ‘best’, you’ll get a kind of totalitarian capitalism where everyone is deemed to be a potential thief or terrorist. At ‘worst’, the system will collapse, as communism did in Eastern Europe. Of course, we shouldn’t wait passively for globalism to self-destruct. As thinking individuals with foresight, we should actively take part in the process. But such activism must start with an honest understanding of the world we live in. The lies of the current system cannot be fought with counter-lies. Europeans will not become more indigenous to their continent because they are found to have a few Neanderthal alleles here and there. They’re already indigenous, and that’s that. Well, maybe the rhino can tell us more. Hawks, J. (2010). Multiregional evolution lives! John Hawks Weblog, April 21, 2010. Hawks, J. (2009). The Neandertal genome FAQ, February 2009 edition, John Hawks Weblog, February 17, 2009. Khan, R. (2010). Neandertal genomics paper coming? Discover magazine, April 27, 2010. Krings, M., Geisert, H., Schmitz, R.W., Krainitzki, H., & Pääbo, S. (1999). DNA sequence of the mitochondrial hypervariable region II from the Neandertal type specimen. Proceedings of the National Academy of Sciences USA, 96, 5581-5585. Ovchinnikov, I.V., Götherström, A., Romanova, G.P., Kharitonov, V.M., Lidén, K., & Goodwin, W. (2000). Molecular analysis of Neanderthal DNA from the Northern Caucasus. Nature, 404, 490-493. Sailer, S. (2010). The Neanderthal within. Steve Sailer’s iSteve Blog, May 2, 2010. Tyrrell, A.J. & Chamberlain, A.T. (1998). Non-metric trait evidence for modern human affinities and the distinctiveness of Neanderthals. Journal of Human Evolution, 34, 549-554.